There's plenty of potential among the international contingent for this year's Sydney Autumn carnival. That's the view of Australia's Timeform expert Gary Crispe who has provided Racing NSW with a frank assessment of the horses that have arrived, and those preparing to travel, at Canterbury's quarantine centre. Five Japanese horses, four that will stay with local trainers, and one UK middle distance performer have the credentials to add spice to some of the big Group 1s during The Championships. Crispe said the Japanese quintet have the potential to improve on their international Timeform ratings from back home while his comments about UK galloper Success Days, the highest rated among the group and likely to take on Winx in the Queen Elizabeth, are very interesting. "The (Japanese) aren't your top-class horses but they are going to be competitive providing they get the conditions to suit them,'' Crispe said. "You've got to be realistic about it, Group 2 and Group 3 range (in Japan) is where these horses are at but they can do pretty well down here. "Tosen Stardom and Brave Smash were at that sort of level when they came here. With different training they can improve a bit." “We haven't seen him since December. 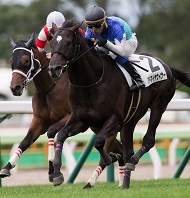 He only had the four runs last preparation and didn't really do a great deal but his run behind Rey De Oro in the Derby lead up at Hanshin (September 24) is where he earned his rating,’’ Crispe said. Crispe said Japan’s class structure is a fairly basic one – they have Group 1, 2, 3 and Listed then a series of allowance races which are generally based around things like wins and prizemoney. “He's probably five or six lengths off true Group 1 standard over there. 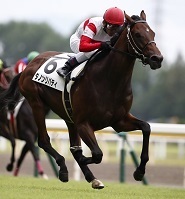 He did run third to Admirable in Tokyo in April last year over 2400m,’’ he said. “He hasn't raced since October and he just had the couple of runs last prep in open class races,’’ Crispe said. To win a race like the Doncaster a horse typically needs a Timeform rating in the low 120s, depending on what weight they get. Satono Rasen has 50kg in the Doncaster. “These horses can improve and he could easily be 120 depending on what Chris does with him. You just have to keep them safe,’’ he said. “He's a handy enough horse, a bit similar to Brave Smash before he came here,’’ Crispe said. Ittetsu is likely to make his Australian debut in the Group 1 Galaxy (1100m) on Golden Slipper day and Crispe warned that on his previous form he may be a risk first-up. “His first-up form is not great, he hasn't won first-up since 2015 but it depends on how forward he's going to be,’’ he said. Japanese galloper Prestwick is nominated for the Sydney Cup. (Pic: JRA). “He's won six races and he raced in February behind Fame Game in the Diamond Stakes over 3400m. 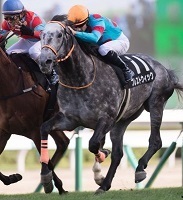 His form is not bad, he'd run third at Nakayama in December behind Albert and Fame Game again in the Nippon Show Stayers, that's pretty good form,’’ Crispe said. Prestwick, who may have to have a name change due to another horse of the same name, has 53kg in the Sydney Cup and that would make him dangerous. “That'd give him a good chance in a Sydney Cup. All his best form has been on firm going, and that's got to be a query for all these Japanese horses,’’ he said. “He's basically a mile-2000m horse. He didn't do a lot in his last two runs but his previous preparation wasn't too bad,’’ Crispe said. Danon Liberty has been nominated for the TJ Smith Stakes (1200m), the Doncaster (1600m) and the Queen Elizabeth Stakes (2000m) during The Championships. “He did run better figures earlier in his career, he's not getting any younger so it'll be interesting to see what he does,’’ Crispe said. “His last couple of runs have been in pretty good opposition, the Champion Stakes behind Cracksman and the Irish Champion Stakes, so put a line through those,’’ Crispe said. Success Days, a noted on-pacer, faces the biggest task of any international coming to Sydney as he’s nominated for the Queen Elizabeth Stakes (2000m) where he’ll likely meet Winx. Crispe said the grey does have the international credentials to be competitive. “He'll handle the wet if it is wet and his form around that 2000m distance has been quite good. I wouldn't be surprised at all if he ran very well in that race,’’ he said.